Blowout Sale! 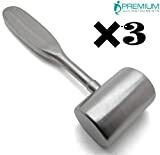 Up to 57% off on Mallets at Dental Training for Missions. Top brands include CYNAMED, Buffalo Dental, WellnessD'Light®, Premium Instruments, SurgiDental, DDP, ODONTOMED, Dental USA, Wise Instruments Inc, Osung, & LAJA IMPORTS®. Hurry! Limited time offers. Offers valid only while supplies last. 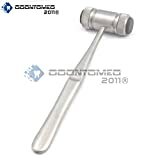 Buffalo Dental 26-493 Mallet, Brass/Fiber, 5 1/2 oz. 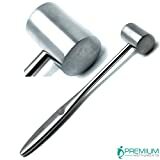 Dental Aspirating Anesthetic Syringe with Finger Rests. (1.8Ml, Cooke-Waite Style) Our Aspirating Syringes Achieve Optimum Outcomes for Everything from Soft to Hard Tissue Management. 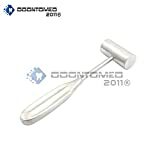 Dental Aspirating Syringe, Lightweight Construction. Injection of Local Anesthetic Solution. 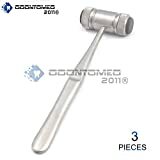 Buffalo Dental 26-495 Mallet, Brass Head, 11 oz. 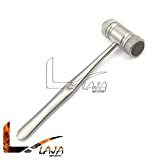 LAJA IMPORTS BONE MALLET 19CM 7.5" 10 OZ.